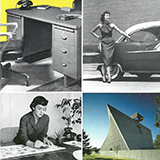 149 Results matching "florence knoll desk"
Michigan Modern: Design that Shaped America, highlights the industrial and design history that positioned Michigan at the epicenter of mid-twentieth century modern design. 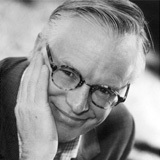 Now on display at the Cranbrook Art Museum. 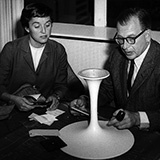 Elle Decoration calls Florence Knoll a "design hero" and hails her as the "first lady of America's mid-century modern movement". 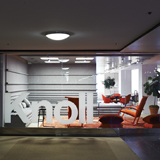 The Knoll Showroom at NeoCon 2014 opened today at the Merchandise Mart in Chicago. 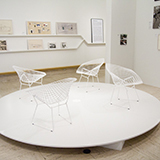 Michigan Modern: Design that Shaped America, an exhibition that highlights the industrial and design history that positioned Michigan at the epicenter of mid-twentieth century modern design, is now on display at the Grand Rapids Art Museum in Grand Rapids, Michigan. Timeline (3) See All Timeline Entries For "florence knoll desk"
Knoll introduces the Model 1500 series desk by Florence Knoll. 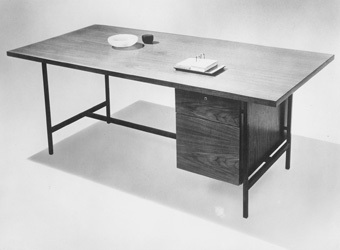 The desk, initially designed for IBM in 1952, features a metal frame to which various attachments are fitted, depending on the application. 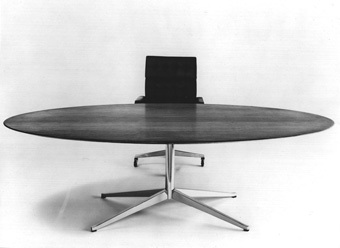 This component-based idea makes the 1500 Knoll’s first furniture system.